Poland is a massive market in terms of sports events, and speedway attracts many fans all over the country. For TicketCo – as a fresh player in the Polish ticketing and events payments business – SpeedwayEvents.pl is a great brand to connect with as the first ever Polish signup. “After announcing our entry to Poland, we’ve been met with a warm welcome in the sports and event industry. At the moment we are preparing the announcement of a very large contract, which we’re just finalizing. In the meantime we are particularly proud to announce that such a fantastic brand as SpeedwayEvents.pl has trusted us. This is the first TicketCo customer in Poland”, says TicketCo’s Poland Country Manager Tomasz Kowalski. Tomasz Kowalski has a strong track record in the Polish event industry. For more than four years he managed the Stadium Energa Gdansk /PGE Arena Gdansk, one of the four stadiums built for the UEFA EURO 2012 in Poland and Ukraine. Before joining the stadium team, Mr Kowalski worked for TRIAS, one of the biggest ICT integrator on the market and previously Philips – responsible for deployment of Vidiwall LED screens in venues. 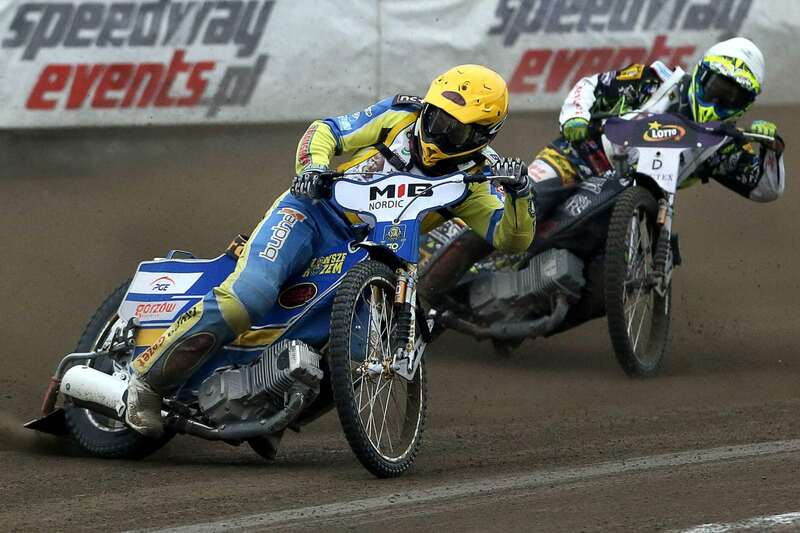 “Speedway is a true action sport, attracting many fans, and SpeedwayEvents.pl is a well-known brand in this industry. The plans of this organizer is to make 10 to 12 sports events throughout the country in 2019, and we are happy to provide him with the easiest and most comprehensive ticketing and event payments tool”, says Kowalski. “Our goal is to increase online sales and this is also one of the main reasons to choose TicketCo”, says Maciej Polny, president of KFSport. The owner of SpeedwayEvents.pl has extensive experience on the sports market in Poland. He is very optimistic for the cooperation and about possibilities that gives him new supplier. “TicketCo turned out to be both rock solid and innovative at the same time. We are impressed by the TicketCo references in both Norway and the UK. We paid attention to their efficient operation in the online sales, Mobile Points of Sale, as well as the ticket scanning at the gates. In addition, the system is very user friendly both for us as an organizer and for our clients. We will be able to offer our customers purchase of additional products in upselling along with tickets, of which we are very pleased”, emphasizes Maciej Polny. Choosing TicketCo also allows SpeedwayEvents.pl to launch Mobile Sales Points without having to invest in complicated and often large, bulky equipment. This is a great advantage because SpeedwayEvents.pl realizes its sporting events on various facilities throughout Poland. The first events are already at the end of March 2019 in Poland. However, in February tickets for events organized by SpeedwayEvents.pl will go on sale online at TicketCo.